Dan Farnum was born and raised in the blue-collar town of Saginaw, Michigan. His photographs address the American experience, landscape, and culture and have been showcased nationally in several exhibitions and galleries in San Francisco, Chicago, Los Angeles, and New York. Dan received his MFA from the San Francisco Art Institute and BFA from the University of Michigan. He is currently an Associate Professor at The University of Tulsa. Dan has taught at the university for 4 years. He is the recipient of notable awards such as Best in Show in the Midwest Contemporary exhibition from Natasha Egan and Karen Irvine at the Museum of Contemporary Photography, an award from Ann Pallesen at Photo Center Northwest in Seattle, two prizes from the Paul Sack Architectural Photography Contest at the San Francisco Art Institute, and the Juror's Selection Award given by Christopher Rauschenberg in an exhibition at the Center for Fine Art Photography. For his work included in the exhibition Landscape Interrupted at the Coconino Center for the Arts, Dan received an award from William Jenkins, curator of the New Topographic exhibition at the International Museum of Photography at the George Eastman House. Dan’s prints have previously been exhibited at the Marin Museum of Contemporary Art, Black Box Gallery in Portland, SF Camerawork, and at the Aperture Gallery in NYC. 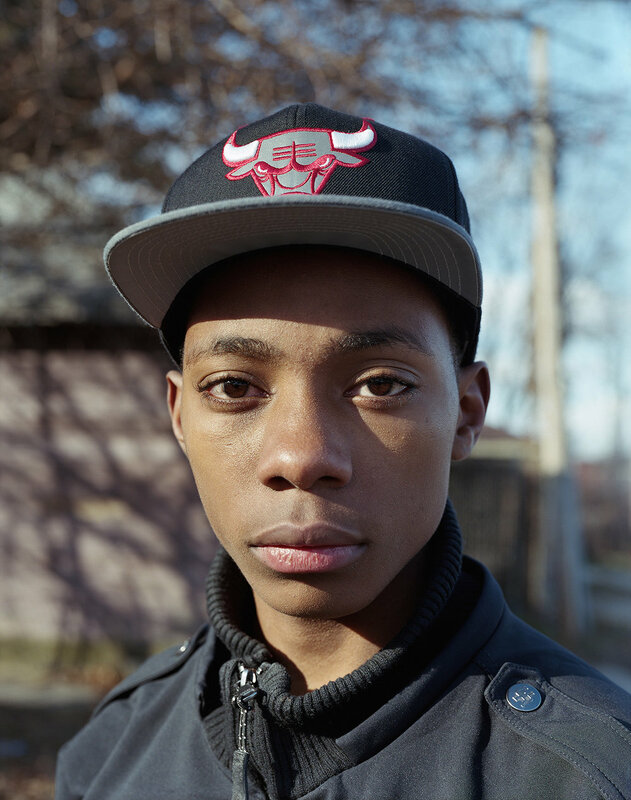 Dan’s photographs have also been featured in multiple solo exhibitions in venues such as the Milwaukee Institute of Art and Design, Newspace Center for Photography in Portland, University of Wisconsin, and at Alibi Fine Art in Chicago. Dan's photographs where recently featured in the Beijing based magazine called Vision and in TIME Magazine. 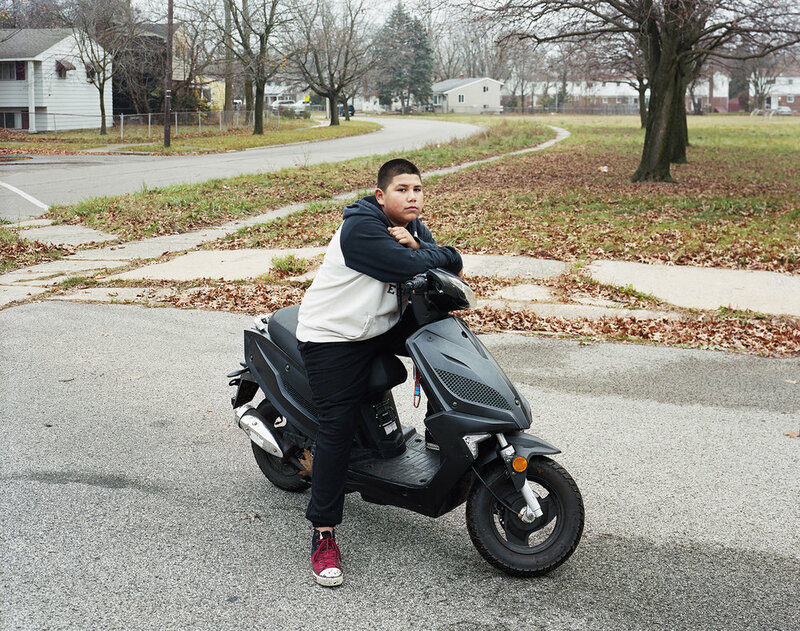 My photographs investigate children, teenagers, and young adults raised amidst a backdrop of economic decomposition in the neighborhoods of Michigan’s auto towns. Adolescence and early adulthood are characterized by both fragile uncertainty and exciting potential. I see these same characteristics reflected in the rebuilding process of the region. Why the University of Tulsa? The University of Tulsa offers a close-knit learning environment for students in an exciting city that embraces the arts. The School of Art, Design, and Art History offers BA, BFA, MA, and MFA degrees in a range of mediums including photography. The facilities at TU include both analog and digital equipment. There are labs available 24 hours a day. TU is a small university so students receive a lot of personal attention from professors. Students studying photography have the chance to work in an interdisciplinary setting. The department offers a range of 2D and 3D art practices that include new media and historic printmaking processes. The department has competitive scholarships available for undergraduate and graduate students. There is funding available from the college’s research office for special projects. Our graduate program also has fully funded teaching assistantships available. One of the strengths of our program is our involvement with the Brady Arts District in Tulsa. 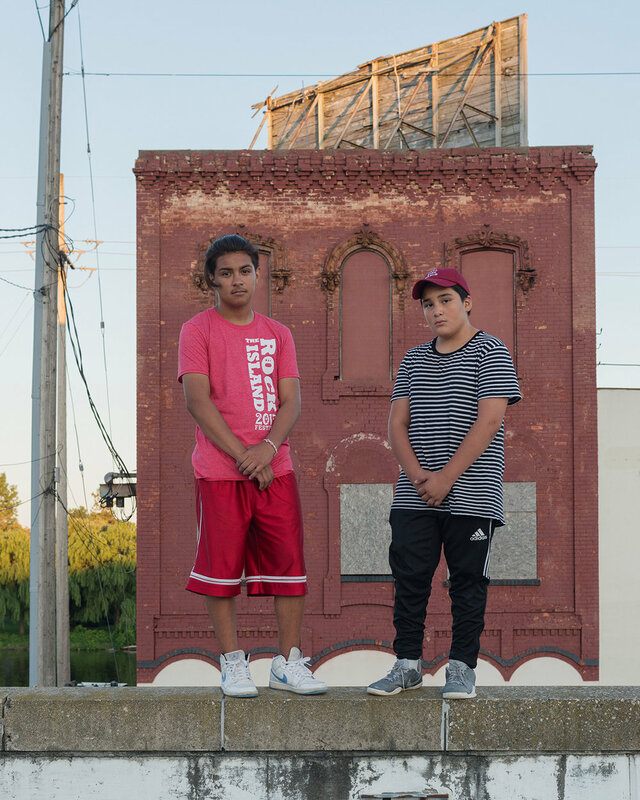 There is a rapidly growing art scene in the city with several galleries, museums, residencies, fellowships, and visiting artists. TU has a gallery and graduate studios in the arts district. Our department is highly involved in the arts community. This provides opportunities for students to do internships, meet with internationally recognized artists, view a range of inspiring exhibitions, and to find job opportunities after graduating. I have also had a lot of success as a professor helping students enter competitive graduate programs. I have taught at a few different institutions and have instructed several talented people. Former students of mine have been accepted into MFA programs that include California Institute of the Arts, San Francisco Art Institute, University of Pennsylvania, Columbia College Chicago, California College of Art, Massachusetts College of Art and Design, and the Rhode Island School of Design. Helping students take the next step after undergrad is one of my strengths as an instructor. I put a lot of emphasis on project development, creative problem solving, and professional skills. I have also had multiple students eventually become professors. I instruct all levels of undergraduate and graduate photography. I teach Photography 1, which is a darkroom course that focuses on analog processes and camera operation. Another course that I teach is Digital Photography. This course covers DLSR camera usage, film scanning, Photoshop techniques, inkjet printing, color management, and the use of strobe lights. I also teach an upper level course called Photography Studio. This is a portfolio development course where students create projects over one to three semesters. All of my classes also include readings, discussions, and assignments that emphasis photography as a fine art medium. I cover the history of photography as well as contemporary issues related to image making in all my classes. The graduate courses function as critique seminars that may include students from a range of disciplines. We also have new graduate studios located in the Brady Arts District in downtown Tulsa. I believe that both analog and digital processes are equally important. The introductory photography course focuses on darkroom practices. When students enter my digital course they have skills that directly translate from the darkroom to working with digital equipment. Although the technology may be different between the darkroom and a digital lab, the goal of producing well-crafted and conceptually interesting images is still emphasized in both areas. Many of my students end up working with film again later on by choice. We have medium and large format film cameras available and nice scanners. Our printmaking professor is also interested in photographic processes. She teaches a photo litho class that combines classic printmaking techniques with the use of inkjet transparencies. Video/audio/time-based media are also an aspect of our undergraduate curriculum. We have another new media professor, who focuses on those genres. Students that take my upper level photo class might actually be working in a range of mediums. Students are focusing on their conceptual development within their chosen style of art production. For the most part, I have my students making prints in their first couple of classes. However, I also encourage students to try different approaches to image making, which doesn’t always result in conventional printing. Students working in video or time based media do not make prints. Students have also created web-based projects or displayed pieces as projections. Students sometimes produce artist books. The output of the projects made by my upper level students really depends on their conceptual goals. The photography area has several rooms available for students to use. There is a darkroom with 16 workstations for silver gelatin printing. Some alternative processes can also take place in that lab. We also have two computer labs with 30 total stations. There is a separate room for the inkjet printers that contains a 44-inch Epson and three 13x19 inch printers. There is also a scanner for wet mounting in the same room. We also have a lighting studio with backdrops, hot lights, and strobes. Most of the labs are available 24 hours a day. Most of the critiques happen in class. Every project I assign ends up shown at a group critique. I do bring visiting artists to TU and they participate in the critiques during class. Guest artists also meet one-on-one with upper level students and grads outside of regular class meetings. Upper level students and past graduates sometimes visit my courses as well to participate in the critiques. One of my primary goals as an instructor is for students to be able to discuss their artwork in front of other people. I also want students to be able to discuss the work made by their peers. During the semester I require students to keep a research journal with artists they’ve found each week. Students bring these journals to the critiques to take notes and to use as reference when talking in front of their classmates. This helps students learn from each other’s independent research during the critique process. I expect all students to participate in the discussions. I purposefully guide the conversations rather than bluntly stating my opinion. I find that critiques resonate the most for students when the feedback is given holistically from the class. I certainly give my opinion on student artwork, but I also pull comments from the rest of the group through careful questions that I ask.